The value of pipe #373 is n/a points. Frank Van Dorsten. 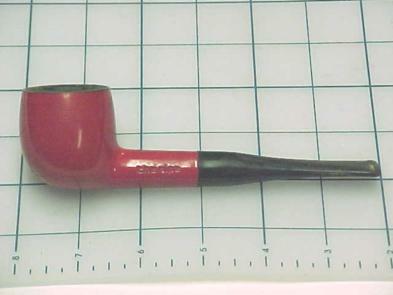 offered this pipe in a lot on eBay. Since I already have an good example of this shape/color and this one is no better, it goes to the Pipes for Trade page and its predecessor there goes to the Pipes for Sale page. Having sold the previous example and having acquired a truly outstanding example of this shape/color, it is this one's turn to go to Pipes for Sale page. My friend in Portugal, Hugo Oliveira, decided that he must have it.